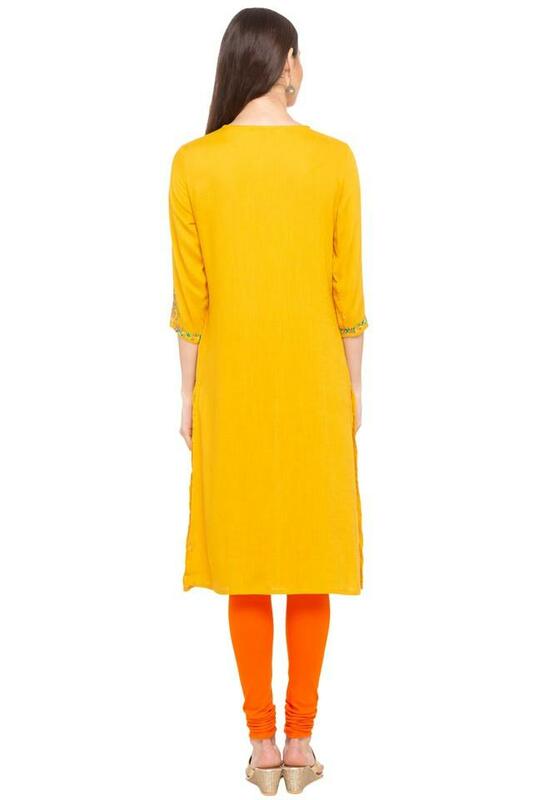 Channel a winning, ethnic style with this straight kurta from the house of Haute Curry. It features a key hole neck, embroidered pattern along with three quarter sleeves which gives it a trendy look. Moreover, the good quality fabric that make it comfortable to use. Go ahead and steal the show at any traditional function in this gorgeous kurta. Deck up your look by wearing this kurta with a pair of churidar and sandals for any outing.